Stamp everything from your calendar to birthday cards with a food that has its own official day. Some days you just really need a taco. 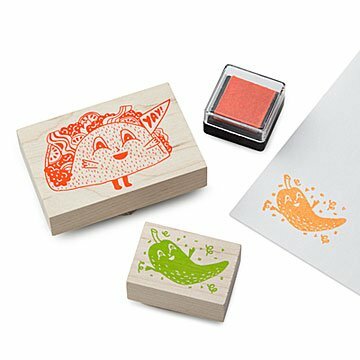 Fulfill someone's food fantasy (including your own) by stamping everything from your day planner to birthday cards with comida that has its own official day—in orange, nonetheless. Made in Mexico.